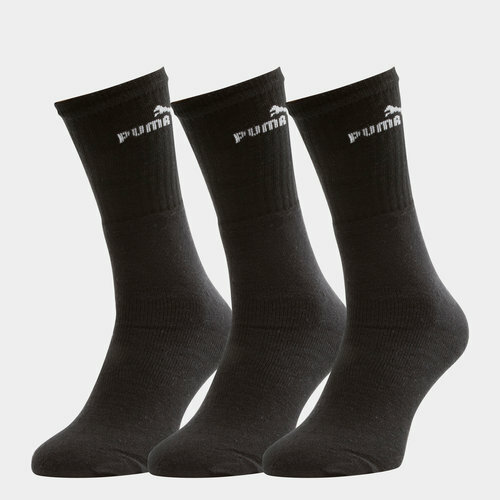 Train in style and comfort with these Puma Adult 3 Pack Sport Crew Socks in a classic Black colour. These socks come made from a breathable, durable and soft cotton, polyester, polyamide and elastane blend. Gathered for a perfect fit without slipping, the famous Puma logo is included on the side of the ankle. Perfect for wearing during all your training or casually, pull on these Puma Adult 3 Pack Sport Crew Socks.